Join me and dedicated Herbalife Independent Members around the world that are changing lives with a proven business opportunity. Like me and other Herbalife Independent Members, you can build a successful business with the potential for financial independence. Herbalife's compensation plan is one of the most generous in the direct selling industry. It pays up to 73% of retail dollars to its Herbalife Independent Members in the form of retail and wholesale profits, royalties and bonuses. Consistent with the Herbalife commitment to provide one of the best business opportunities in the industry, we are proud to make you aware of some enhancements to the Herbalife Sales & Marketing Plan. If you participate in the business opportunity, we encourage you to read the details provided in this brochure. 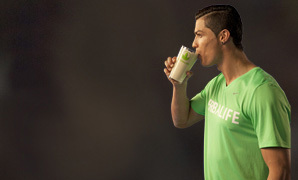 Plus, you can earn even more off of your team’s sales when you recruit new Herbalife Independent Members. Are you wondering how much Herbalife Independent Members earn on average?